Gyumri’s GALA TV Company intends to appeal to the Court of Cassation against the verdict by the Civil Court of Appeals according to which it has been given one month to dismantle its broadcast equipment from the TV tower. 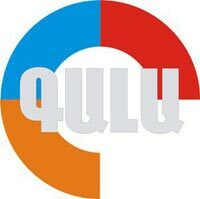 One of the four TV channels broadcasting in Armenia’s northern Shirak province, GALA, founded in 2005, is a rare television company in Armenia critical of the government and providing air time to representatives of various opposition factions. It is the only TV Company that largely covered the 2008 post-election opposition rallies. Problems came fourth because of GALA’s dispute with the municipality of Gyumri which in November 2007 privatized the TV tower and demanded that GALA’s broadcast equipment be dismantled. On the issue of the TV tower (only GALA is using it) a court verdict was announced by the general jurisdiction court of Shirak province yet in April 2008 (in favor of the municipality). GALA then turned to the Court of Appeals which, however, agreed with the initial verdict. The Court of Cassation (the highest in the three-instance civil judicial system of Armenia) however annulled the verdict saying that the principle of equality between the parties had been violated – the court had deprived GALA’s attorney of a chance to present evidence in defense of the case. In an interview with ArmeniaNow, GALA’s Executive Director Karine Harutyunyan said that the tower did not have an owner before the municipality’s privatization. “We had repeatedly tried to privatize it, but were not granted permission. We were told that the tower is of strategic importance,” said Harutyunyan. She said that the verdict of the Court of Appeals did not come as a surprise to them, and after exhausting all the judicial means in Armenia they intend to turn to the European Court of Human Rights. In 2009 GALA filed a lawsuit with the European Court concerning the penalty it had to pay after a tax audit at the company. GALA was able to pay the $73,000 penalty only due to a fund-raising telethon.